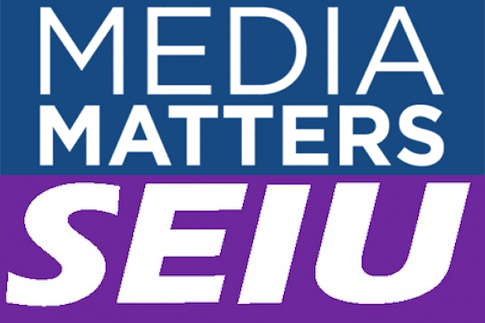 Leftwing lapdog Media Matters for America is taking advantage of the Republican’s "anti-union" agenda to stonewall the SEIU’s attempt to unionize its staff. MMFA is forcing its employees to conduct a secret ballot election that will determine whether or not they can join SEIU Local 500, a Maryland union, according to papers filed with the National Labor Relations Board. The liberal organization, which is headed by Hillary Clinton cheerleader David Brock, has hired management-side labor attorneys at Perkins Coie, a firm that has represented dozens of Democratic candidates and liberal PACs, to oversee the process. It is unclear why Media Matters did not opt to allow its employees to organize through a card check campaign, in which a union submits signed petitions from employees expressing their interest to join the union. MMFA, its attorneys, and the SEIU did not return requests for comment. Media Matters has a long record of slamming Republicans and conservatives who want to protect secret ballot union elections. The organization published multiple pieces celebrating the Democrat’s so-called Employee Free Choice Act, which would make it easier for unions to organize through card check campaigns and prevent employers from forcing a secret ballot election. Media Matters researcher Meagan Hatcher-Mays took to the organization’s blog to criticize "a wave of Republican anti-union legislation [that] has placed obstacles between workers and union representatives and disrupted opportunities for workplace productivity." Hatcher-Mays cited a Wall Street Journal editorial that noted card check campaigns are far more likely to produce union victories than secret ballot elections. The Journal’s "characterization of the card check process as a ‘deceptive procedure,’ is wholly misleading. Research shows that secret ballot elections, which the WSJ suggests are somehow more equitable than card checks, are deeply flawed," Hatcher-Mays wrote. Liberal writers criticized Media Matters for refusing to allow a card check campaign. Nick Baumann, a writer at Mother Jones, which is unionized by the Teamsters UAW, tweeted out his support of workers on Thursday. "Lefty orgs should walk the walk," he said. Labor watchdogs, including Richard Berman, executive director of the Center for Union Facts, slammed the perceived hypocrisy of Media Matters. "One can only laugh at the number of ironies and hypocrisies in this situation," he said in a statement. "It epitomizes the ‘not in my backyard’ complex that is also shown by unions themselves." Media Matters treatment of the SEIU undermines the pro-union rhetoric peppered on its website, according to Berman. "Actions always speak louder than words, and what Media Matters’ actions show is that maybe unions aren’t that great after all," he said.